Base Price includes disc in a case. Additional options are priced below. Contact us through email or phone to discuss your project. 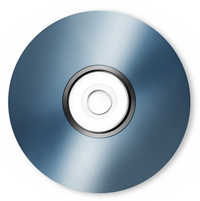 We will need your original disc or your digital data and any artwork needed. Please provide any necessary special instructions. Please note that we will not duplicate any copyrighted discs. When replicating discs, each disc will contain the same content with no variations. Larsen Digital will not edit the content of the discs unless asked to do so by the customer. Depending on what changes need to be made to your data, custom editing charges may apply. Let us know what exactly you want your replicated discs to be, and we will make sure that we will satisfy all your needs. Discuss with us any changes you might want to be made before we start the disc replication process.